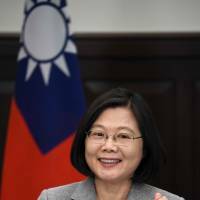 BEIJING - China lashed out Wednesday at Taiwanese President Tsai Ing-wen after she urged the international community in an interview to “constrain” China before it does irreparable damage to global democracy. Her comments are “misleading and totally baseless,” the spokesman for Beijing’s Taiwan Affairs Office told a regular news conference. Tsai’s “objective is to create enmity between compatriots across the straits,” said Ma Xiaoguang, referring to Chinese separated by the Taiwan Strait. A transcript of Ma’s remarks was published by the official Xinhua news agency. 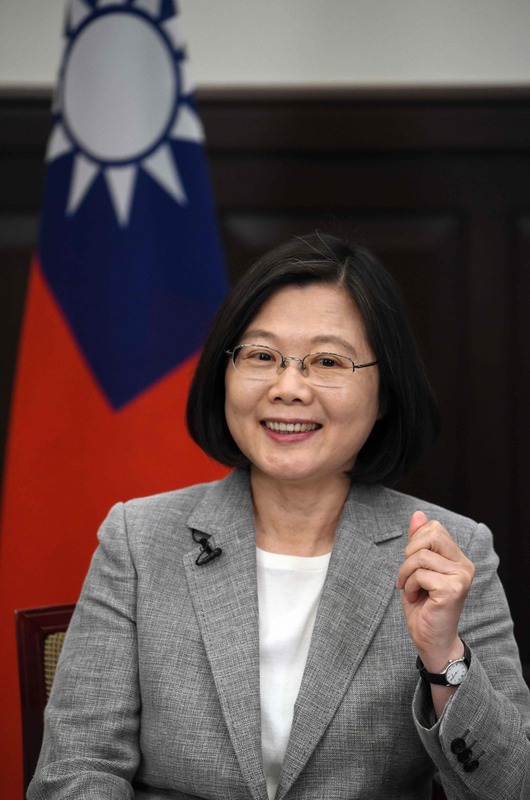 In the interview on Monday, Tsai urged overseas nations to unite with Taiwan in defending themselves against China’s expansionist aims and protecting shared liberal values. “This is not just Taiwan’s challenge, it is a challenge for the region and the world as a whole, because today it’s Taiwan, but tomorrow it may be any other country that will have to face the expansion of China’s influence,” Tsai said. “Their democracy, freedom and freedom to do business will one day be affected by China,” she added. Her comments follow a sustained period of pressure by China on Taiwan, which Beijing sees as part of its territory, to be reunified by force if necessary. An increasingly hard-line President Xi Jinping has made it clear that what he terms as threats to China’s territorial integrity will not be tolerated. China is deeply suspicious of Tsai since her Democratic Progressive Party is traditionally pro-independence. It has also exerted diplomatic pressure by ensuring Taiwan’s exclusion from major international forums and wooing away some of its few remaining official allies.